It was a very long time ago I wrote about gin even though i`ve used it here and there in my tiki cocktails but it`s rare, so it´s time for some tiki libations again that contains gin….and the gin I pick for this post is Martin Miller`s. 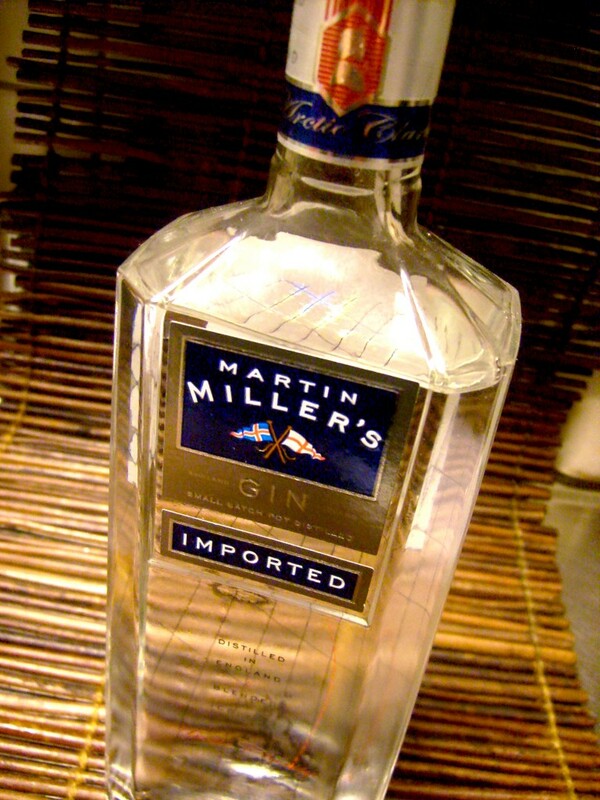 When i first tasted Martin Miller´s gin years ago I found it had a special flavor and I really like it, it has a smooth and a bit earthy-bitter juniper flavour paired with an overall pleasant spicinress and slightly bright citrus and herbal flavours in between. This is the gin that uses pure soft glacier water from Iceland because this water is said to be cleaner, softer and full of life force. I find that pretty amazing that they actually ship the gin all the way to Iceland! 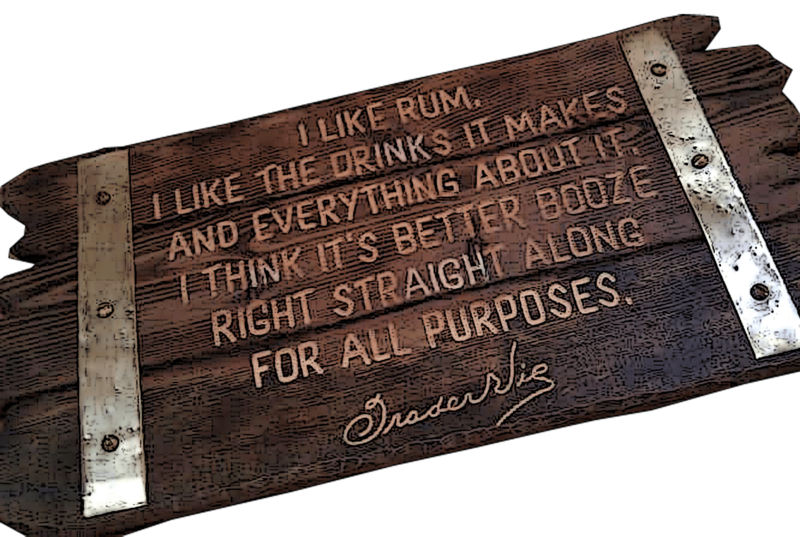 There its blended with more neutral spirit and glacier water, then its shipped away again. There´s no doubt that this is very soft clean water. As for steeping the herbs and spices the old traditional methods are used where the botanicals are steeped overnight in spirit and hot water and this gentle maceration is what is needed to create a premium gin.The dried citrus peels are also separately distilled in order to achieve a brighter citrus flavour. The dried bitter seville orange rind is the most important botanical after juniper in gin making and personally I love the bright seville orange flavour – it has such a refreshing aromatic aroma.In Martin Miller`s gin lemon and lime rinds are also used. Juniper, seville orange, lime, lemon, coriander, angelica, liqorice root, cassia bark and to bind it all together and impart a floral aromatic flavour – Florentine iris. The alcohol must be re-distilled and made from grains of the highest quality, there´s a lot of herbs, spices, roots and citrus peels involved which are picked from all over the globe and individually treated. The distillation is a whole process of its own. Martin Miller`s gin is distilled by a single pot still (as opposed to most gin`s using three pots) using only the heart of the distillate.This single pot still is called Angela and was made in 1904. What I`m using here is Martin Miller`s traditional gin (40%) and the Westbourne Strength (45.2%) I like their freshness and that`s also why it´s one of my favorite gins, goes well in tiki drinks together with other rums and mixers. 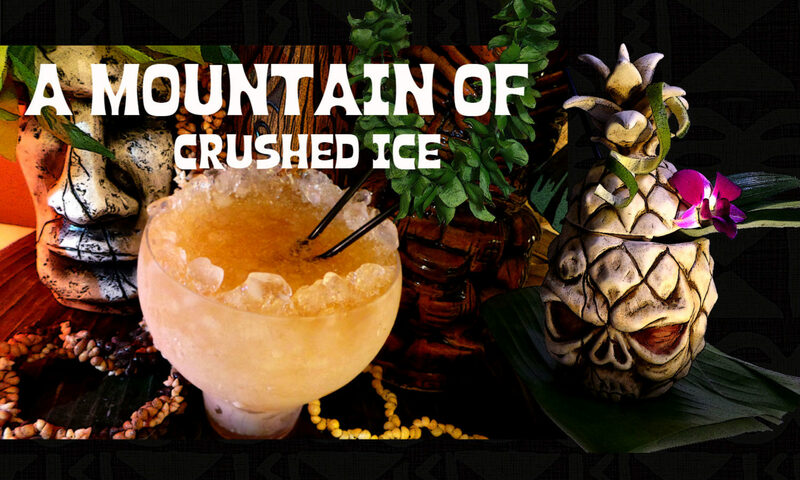 As for gin in tiki drinks in general I think it can make really tasty tiki drinks and one of the tastiest I`ve had is the “Outcast of the islands“, a refreshing ice cone adorned libation which you can find at Jeff Berry`s Latitude 29, one of the best tiki bars on this planet. Float Rational Spirits 141 Cuban or other good floating rum! Put it all in a blender and blend until smooth with 8 oz crushed ice, pour unstrained into a suitable glass and fill up with more crushed ice if needed (originally it was a pilsner or other tall glass but I used a snifter….bec I love them! 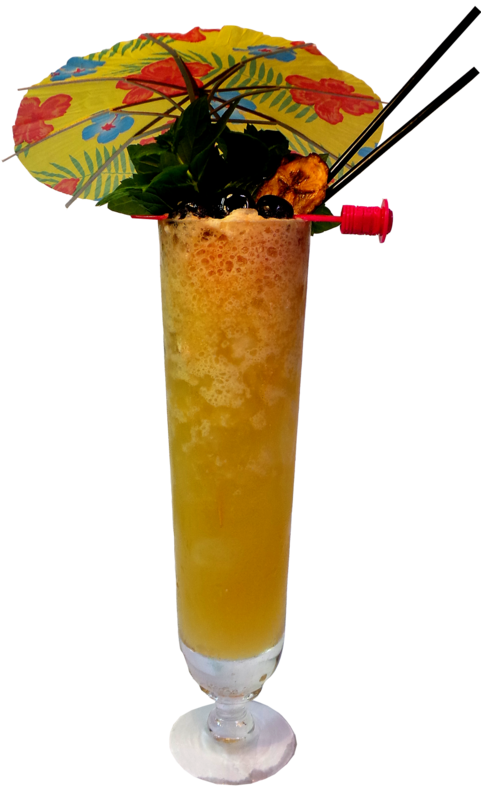 This is a take on the Saturn found in Jeff Berry`s Total Tiki App, the original drink was made by J “Popo” Galsini in 1967 and awarded Popo at that year`s IBA World Cocktail Championship in Majorca. 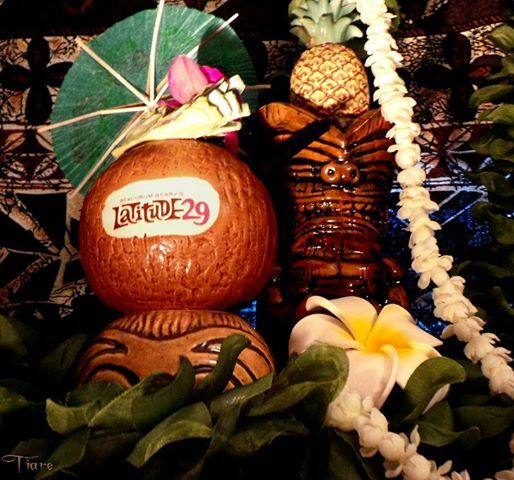 Pololu Nui – a little potent mix of Martin Miller`s Westbourne Strength Gin, Jamaican and overproof rums, fresh pineapple, Creme de Cacao, Coco Real and Curacao… spiced up with a heap of fragrant ground cinnamon….served in Jeff Berry`s Latitude 29 Coco mug! And while Ku from the Floating Rum Shack carrying a pineapple on his head is laughing i`m drinking! The original Pololu was made by Dr Bamboo and was a take on the good ole Painkiller…The name Pololu Nui means “the big Pololu” in this case “big in proof” with Martin Miller`s Westbourne strength gin and the overproof rum float combo. Shake everything except cinnamon with ice and strain into a glass or tiki mug. 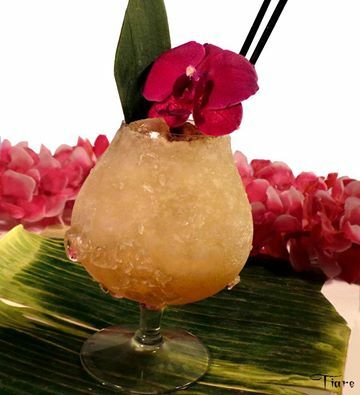 Add a generous float Hamilton 151 on top and dust with a heap of cinnamon powder and garnish with something tropical. I hope you like these drinks as much as I did!